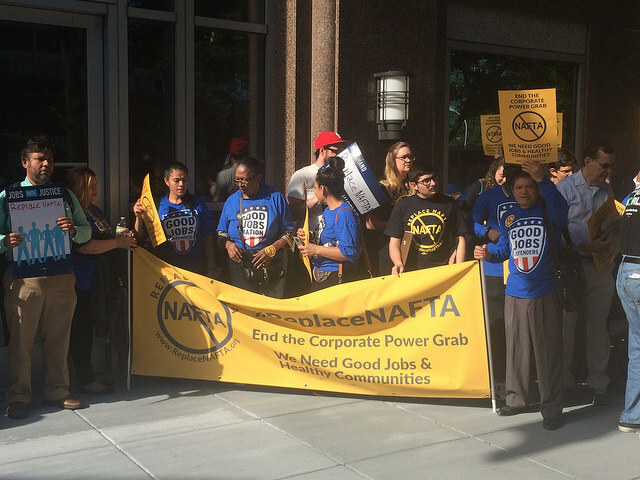 WASHINGTON (AP) — The clash over free trade in North America has long been fought over familiar issues : Low-paid Mexican workers. U.S. factories that move jobs south of the border. Canada’s high taxes on imported milk and cheese. But as Democrats in Congress consider whether to back a revamped regional trade pact being pushed by President Donald Trump, they’re zeroing in on a new point of conflict : Drug prices. They contend that the new pact would force Americans to pay more for prescription drugs, and their argument has dimmed the outlook for one of Trump’s signature causes. Bernie Sanders : Why is Catalyst Pharmaceutical pricing a once-free drug at $375,000 ? 2019 tax season : How long should it take to get my tax refund this year ? The question now is : Are Democrats prepared to support a deal that addresses some of their key objections to NAFTA and thereby hand Trump a political victory ? Some Democrats have praised the new provisions that address auto wages, though many say they must be strengthened before they’d vote for the USMCA. "By including 10 years in a treaty, we are locking ourselves in to a higher level of monopoly protection for drugs that are already taking in billions of dollars a year," said Jeffrey Francer, general counsel for the Association for Accessible Medicines, which represents generic drug companies. "The only way for Congress to change it is to back out of the treaty ... Does the United States want to be in violation of its own treaty ?" "It was like throwing a bomb into the focus group," said Greenberg, who is married to DeLauro. He said the voters’ consensus view was essentially : "The president was supposed to go and renegotiate (NAFTA) so that it worked for American workers. But it must be that these lobbyists are working behind the scenes" to sneak in special-interest provisions.